No, this isn’t a cruel April Fools joke! Two fan favourite Aniplex anime have finally made their way to Netflix UK’s library: the acclaimed magical girl series Puella Magi Madoka Magica, and dark fantasy prequel Fate/Zero! 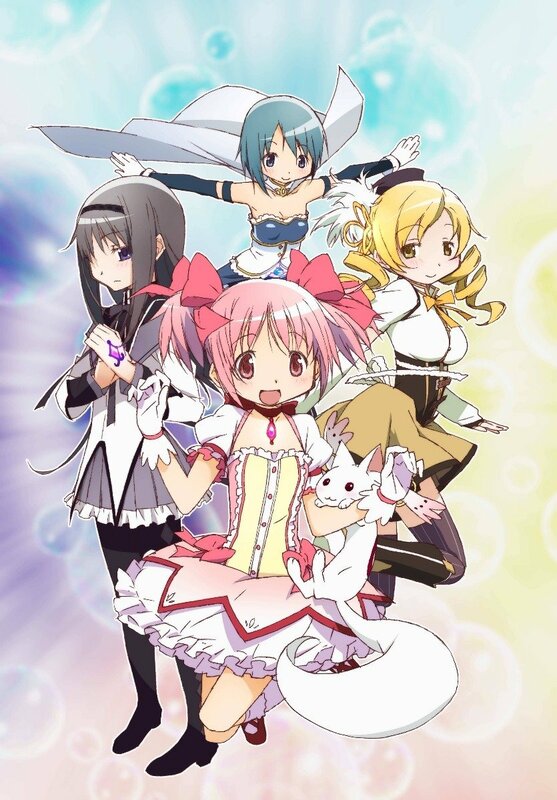 Produced by SHAFT and directed by Akiyuki Shinbo of Monogatari fame, the award-winning Puella Magi Madoka Magica explored a darker side to the popular magical girl genre when it was first broadcast in 2011. The series later spawned two movie recaps, as well as the sequel film. Puella Magi Madoka Magica: Rebellion. The franchise has also received numerous manga spin-offs, as well as the mobile game Magia Record: Puella Magi Madoka Magica Side Story, which is set to receive its own anime adaptation later this year. The Holy Grail War – in this ultimate battle field, in order to obtain the power of the “Holy Grail” that grants any unattainable wish, seven Masters summon Servants and fight against each other until the last one survives. The untold truth of the Fourth Holy Grail War that occurred 10 years before Fate/stay night is about to be revealed! Gen Urobuchi (Psycho-Pass) is responsible for the original stories of the two series, which both also feature a score by composer Yuki Kajiura (Sword Art Online).Puella Magi Madoka Magica and Fate/Zero are available with Japanese, English and German audio, with subtitles in Japanese, English, Arabic, French and Polish. For those looking for something not quite as dark however, while Pokémon the Series: XY has expired from the service, it has been replaced by the first 43 episodes of Pokémon the Series: Sun & Moon Ultra Adventures, which continues Ash’s adventures in the Alola Region! Will you be enjoying either of these hit series? If you’ve seen them before, which is your favourite? Source: New On Netflix UK, then independently verified by Anime UK News. The first film in Polygon Pictures’ movie trilogy will soon be available on Netflix! The latest Pokémon Movie Collection release takes us back to the franchise’s XY era, and the start of Manga Entertainment’s time with the series, but are these films truly a Mega Evolution?